Mr. Wonderful’s World contains occasional work by Mr. Wonderful himself. 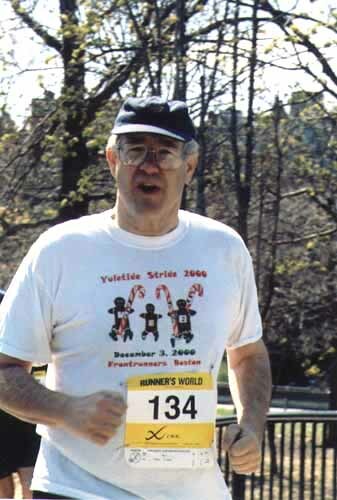 This is a photo of me in 2005 at some 5K road race. You can be sure that I was near the back of the slow pack. This work portrait was take by Steve Nelson of FayFoto at a meeting of the Greater Boston Business Network in East Milton, MA. He brought in his “head shot” equipment to take a small number of gratis shots of GBBN members. I snuck in at the end. Steve did a great job of buffing my hair up. It always seems to be standing at near right angels to my head. Sort of a modified clown look.